The echoMAP Plus 93sv with g3 Charts and transducer has all of the features of previous echoMAP models but with new advancements including WiFi, improved QuickDraw Contours, a hybrid touch display and more. The expansive 9” keyed-assist touchscreen display is sunlight readable and intuitively designed. Loaded with LakeVu g3 Mapping covering over 17,000 lakes, many with 1” depth contours, no additional mapping is required. The included GT52HW-TM transducer provides ClearVu and SideVu sonar! The echoMAP Plus 93sv with transducer includes a GT52-TM transducer offering CHIRP Traditional sonar (150-241kHz) and CHIRP DownVu and SideVu (455/800kHz). The maximum depth for traditional sonar is 800 feet and 500 feet for ClearVu. This transducer is a great option for a wide range of depths and vessel styles. Why do you need built-in WiFi? Synch your compatible smartphone to your 93sv Plus and easily access Garmin’s free Active Captain App. Now enjoy OneChart which allows you to easily download new charts directly to your synched unit. Share your information with others or simply view other mariners’ data including their own QuickDraw Contours, points of interest and more. Stay more connected to the water than ever before by synching your smartphone with your new echoMAP 93sv. Now enjoy sharing sonar and user data between two ECHOMAP Plus units (7x and 9x models only) via Ethernet cable with the February 2018 software update. With QuickDraw Contour mapping software built in, you’re instantly able to create personalized fishing maps with 1’ contours as you’re steering the boat across the lake. 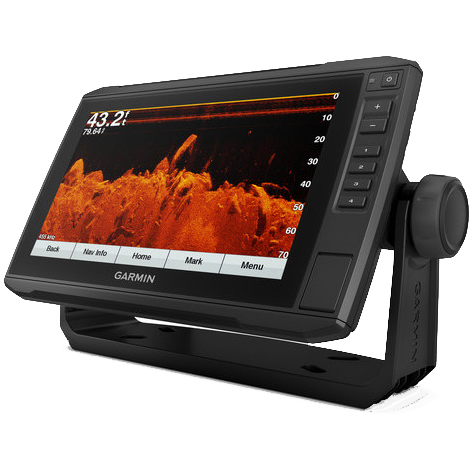 No special knowledge or software is required, simply fish and Garmin takes care of the rest. Maps will be instantly displayed and the best part is that these are your maps. Store up to 2 million acres of quickdraw contour maps - keep them for yourself or share within the Garmin QuickDraw community. It's totally up to you! NMEA 2000 compatibility allows for easy communication between electronics. Create a simple plug and play NMEA 2000 network between devices to receive numerical data from sensors, FUSION-LINK, autopilots and more. Garmin didn’t stopwith the improvements there. Now easily remove your echoMAP 93sv and take it along with you. No longer hassle with unplugging wires from the unit. Cords now plug directly into the mount allowing for quick installation and even quicker removal. 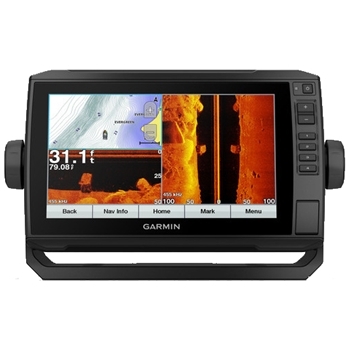 We know purchasing marine electronics is a big decision. If you’re looking for a standalone chartplotter/fishfinder with preloaded Lake Mapping and an included transducer, look no further! Garmin Bail Mount with Quick Release Bracket for 9" echoMAP PLUS 93sv and 94sv units. Garmin's GT10 Thru Hull Temp sensor provides accurate temperature readings from -13°-140°F in your baitwell, livewell or the waters your fishing. Simple Plug and Play integration with your NMEA2000 network. Keep your Garmin echoMAP 9" Plus Display Clean and Protected with this compatible cover. Give your 9" echoMAP Plus unit a sleeker look with the Garmin Flush Mount Kit. Do you fish on lakes and want the most detailed chart Garmin has to offer? 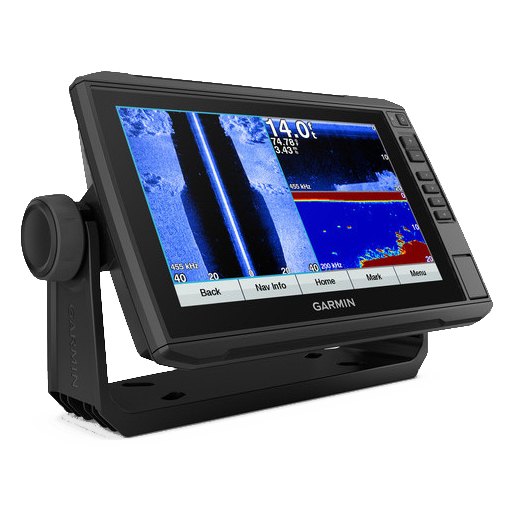 Then The Garmin ECHOMAP Plus 93sv LakeVu HD Ultra Bundle is a perfect unit for you. Includes the standard Garmin ECHOMAP Plus 93sv with the LakeVu HD Ultra Chart for the Western half of the US.